Conjugated molecules are the basis for organic electronics including OLEDs, transistors, solar cells and sensors. Their structure has strong impact on the device performance and may enable molecular recognition and sensing and is also subject of intense fundamental research. This book identifies novel trends in their structural research. "My plan was to compile a book covering present trends in their structural research," said the editor Matti Knaapila. " One important trend is water soluble conjugated molecules and their interactions with colloidal materials and biomolecules and DNA. This is something with manifold implications in chemo- and biosensors. The book contains significant contributions covering this niche from the structural perspective, theoretical and experimental. Another trend is to study their structure and morphology in operating devices in operando and the structure formation during the film deposition in situ. The use of synchrotron radiation allows scientists to follow the film structure online during its deposition, among other things. Or, to find out their shape persistence or the structural whereabouts in high pressure conditions. The same is true for electron microscopy and electron diffraction that allow fantastic resolution and 3D tomography. Many structural details in conjugated molecules have been revealed only very recently thanks to advances in electron microscopy. These areas and other areas are discussed by the leading experts in the Conjugated Polymers and Oligomers: Structural and Soft Matter Aspects. The emphasis is kept on the structural and soft matter aspects. Attention is paid on comprehensive description of selected niches and the authors are renowned pioneers in their niche. "The book is useful for scientists and students working on organic semiconductors. The authors have done hard work in reviewing and collecting materials on behalf of readership. The chapters are more comprehensive and more detailed than regular review articles. At the same time, the topics are way beyond what is found in polymer textbooks " Knaapila explains. 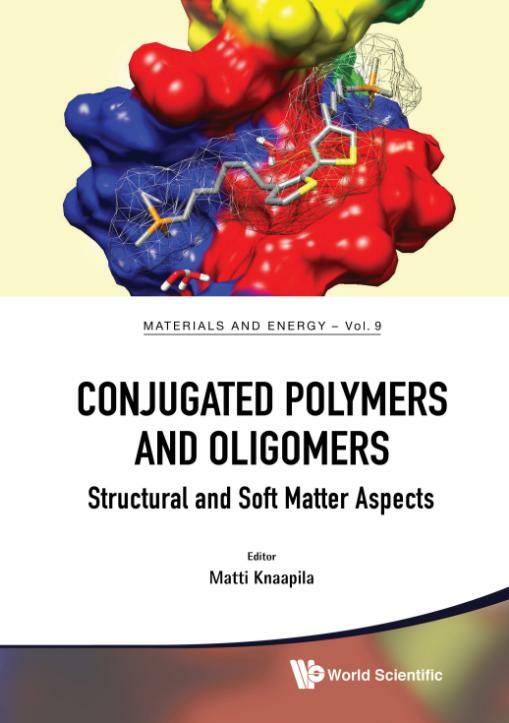 Conjugated Polymers and Oligomers retails for US$98 / £86 (hardcover) at major bookstores. To know more about the book visit http://www.worldscientific.com/worldscibooks/10.1142/10591. Matti Knaapila is a Professor of Materials Physics at the Technical University of Denmark. He holds Dr. Tech from the Helsinki University of Technology and MBA from the University of Durham. Prior to his present appointment, he worked at the Institute for Energy Technology in Norway. His research interests include conjugated polymers and oligomers and poly- and oligoeletrolytes. Through his career, he has been a regular user of synchrotron radiation and neutron scattering. Knaapila is an author of 80 journal articles, various book chapters and an inventor of numerous patents.